1st LA SDEWES Conference will be held at the School of Chemistry / Escola de Química - UFRJ (concorse E), Av. Athos da Silveira Ramos, 149 - Cidade Universitária, Rio de Janeiro. Opening session and invited lecture on Monday, January 29, will be held in another venue, at Fundação Coppetec, R. Muniz de Aragão, 360 - Bloco 1 - Ilha do Fundão - Cidade Universitária, Rio de Janeiro. UFRJ is the largest federal university in the country and is one of the Brazilian centers of excellence in teaching and research. In 2015 QS World University Rankings ranked UFRJ as the best Brazilian federal university, as well as the third best university in the country occupying the ninth position among institutions of Latin America. The university is located mainly in Rio de Janeiro, with ramifications spreading to other ten cities. Its main campuses are the historical campus of "Praia Vermelha" (Red Beach) and the newer "Cidade Universitária" (College City), which houses the "Parque Tecnológico do Rio" (Technology Park of Rio) - a science, technology and innovation development cluster. "Cidade Maravilhosa, terra de encantos mil, Cidade Maravilhosa, Coração do meu Brasil"
The metropolis is anchor to the Rio de Janeiro metropolitan area, the second-most populous metropolitan area in Brazil and sixth-most populous in the Americas. 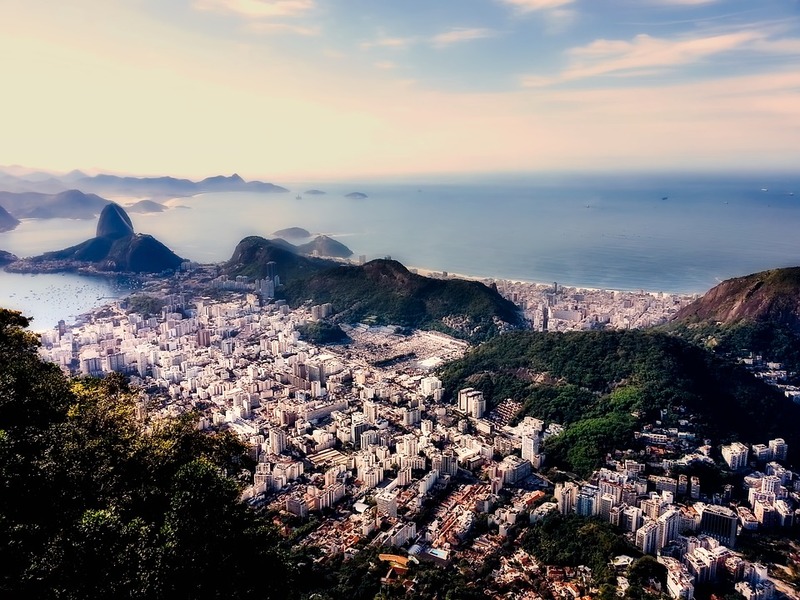 Part of the city has been designated as a World Heritage Site, named "Rio de Janeiro: Carioca Landscapes between the Mountain and the Sea", by UNESCO on 1 July 2012 as a Cultural Landscape. Brazil is the world's tenth largest energy consumer with much of its energy coming from renewable sources, particularly hydroelectricity and ethanol; the Itaipu Dam is the world's largest hydroelectric plant by energy generation. Tourism in Brazil is a growing sector and key to the economy of several regions of the country. According to the World Tourism Organization (WTO), international travel to Brazil accelerated in 2000 and revenues from international tourism continue to rise. The Brazilian real (Portuguese: real, pl. reais; sign: R$; BRL), is the official currency of Brazil. It is subdivided into 100 centavos. The dollar-like sign (cifrão) is the currency's symbol, and in all the other past Brazilian currencies, is officially written with two vertical strokes rather than one. However Unicode considers the difference to be only a matter of font design, and does not have a separate code for the two-stroked version. Bank notes are in denominations of 2, 5, 10, 20, 50, 100 reals, and coins in denominations of 1, 5, 10, 25 and 50 centavos and 1 real. Don't flash your iPhone. (due to huge luxury taxes iPhones cost 1000$ and up on the streets and are a keen mark for pick-pocketers and more unsavoury characters) Simply keep your phone in your pocket while walking the streets. Good advice for any visitor trying to see the city.